Dj Mac McRaw also known as dj Beathoven. He comes from UK. As the owner of Puma Strut label and a member of Vinyl Veterans Squad he promotes the vinyl records as the most interesting recording media. He forms the Vinyl Veterans Squad together with Rob Life, Bobby Boucher, Mr.Krum, Scratchy Muffin, Matt The Hat. Mac McRaw produces music. Mostly old school hip hop beats created in the most traditional way of sampling dusty grooves. He was playing together with such like Schooly D, The Pharcyde, Dj Shadow and many many more. He started to produce music from his first record for Sever Carnage. His favourite record media is 7 inch winyl which is going to be the only media used by Mac McRaw during the upcoming party. You can expect the real roots hip hop and everything what this music is based on – mostly the best funk & soul you can dig from the crates. 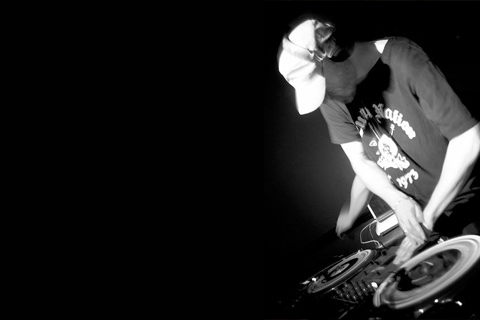 Misciak is a member of Soulservice crew – the most important group of funk djs in Poland. Together with Papa Zura, Cpt.Sparky and Burn Reynolds- they dig the best stuff for the party sets especially for you. It is hard to mention all of the things they have done for development of music in Poland,but they are mostly known from their great series of compilation “Polish Funk” released in Muza where they dig the best grooves from the iron courtain era in Poland. Live painting will be performed by Gregor. It’s impossible not to notice his works walking by Zachodnia, Jaracza or Lipowa street. Kuki Monstah – the host of the Soul Confectionery series is going to support his guests as usuall with the selection of the best groove.